Yokogawa Australia announces the development of Release 5 of the Centum VP integrated production control system, which is developed to bring companies operational excellence through the use of field digital technology. The CENTUM VP marks a cornerstone, for Yokogawa, of the VigilantPlant concept, which aims to help customers realise the ideal plant. The Release 5 CENTUM VP will help Yokogawa continue to provide solutions in control and monitoring of plants and production equipment, especially in industries such as oil and gas, petrochemicals, chemicals, electric power, pulp and paper, pharmaceuticals, foods and beverages, iron and steel and water supply and sewage treatment. New Field Control Station (FCS) with Industry Leading Performance - The new FCS will feature four times the processing performance, twice the application storage capacity, and five times the control network throughput. Unified Gateway Station (UGS) for Better System Integration - A unified gateway station (UGS) that improves integration with other systems, allowing CENTUM VP to control and monitor all the systems at plants, including PLC systems. Enhanced Alarm Management Based on ISA18.2 Standard - CAMS for HIS - Yokogawa’s Consolidated Alarm Management Software for Human Interface Station (CAMS for HIS) includes new functions that have been optimized for the management of change process specified in the ISA18.2 standard’s alarm management lifecycle model. Windows® 7 and Windows Server® 2008 R2 Support - Support for Microsoft’s latest 64 bit Windows 7 and Windows Server 2008 R2 operating systems will be included. 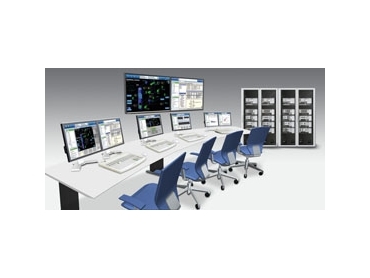 Yokogawa’s CENTRUM VP Release 5 will assist in improving the use of plant information and reducing lifecycle costs with simplified engineering as well as enable unified plant operations by the integration of many other systems.